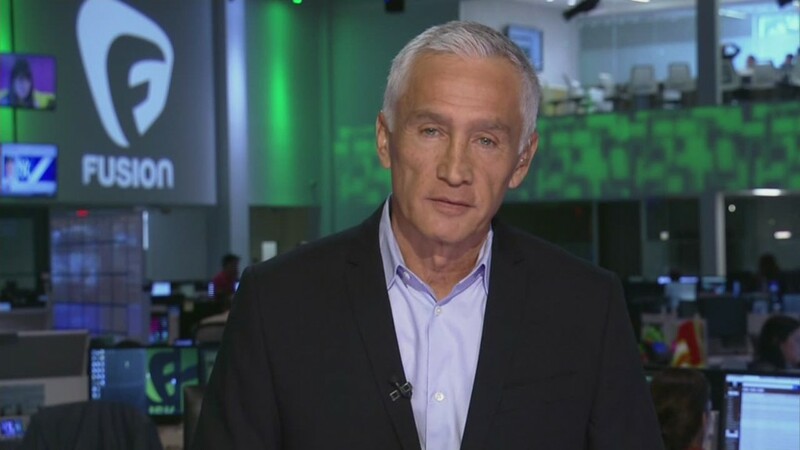 Jorge Ramos, the most recognizable face on Fusion, is the anchor of "America with Jorge Ramos." Disney is seeking to sell its stake in Fusion, the multicultural media company it co-founded with Univision in 2013. People with direct knowledge of the matter said Univision is likely to end up with 100% ownership of Fusion. "Disney wants out," one of the people said. Talks between Disney (DIS) and Univision have been taking place for at least the past three months. The talks spilled out into public view on Tuesday when the Wall Street Journal reported on the possibility. The news organization said "both sides are trying to find a way for Disney to exit by the end of the year." A Univision spokeswoman said "we don't comment on rumor or speculation." A Fusion spokesman said the same thing. A Disney spokesman declined to comment. Univision operates Fusion day-to-day and oversees its editorial work while Disney handles distribution and advertising sales. Lately Disney has seemed to prioritize another investment in a youth-oriented media company, Vice, committing $400 million even while eyeing an exit from Fusion. So Fusion's future is uncertain at the moment. But Univision clearly has more confidence in the venture than Disney. It launched to great fanfare and attracted a whole raft of high-profile journalists and writers. For a while the hiring spree was so impressive that congratulating media types for their new jobs at Fusion became an insidery joke. But there have been widespread doubts about Fusion's prospects all along. It is exceedingly difficult to develop a new brand from scratch in a cluttered media environment. When the Disney-Univision deal was struck, Fusion was meant to be a cable channel and web site for English-speaking Hispanics in the United States. But it has morphed several times since then and now calls itself "a multi-platform media company that serves ​​​a​ young, diverse, and inclusive ​​millennial generation." Fusion's identity challenges have led some in the media industry to nickname it "con-Fusion." The cable channel has struggled to gain an audience, partly because it does not have full distribution across the country. It is not rated by Nielsen. Its web site's traffic has been described as "anemic." Fusion head Isaac Lee acknowledged in an October memo that "we are still building awareness" for the brand. But he said "we are reaching our target audience and growing at a faster pace than many of our competitors." He estimated that "across all platforms," including social networking sites like Facebook, "Fusion is now reaching approximately 25 million people a month." In November, Fusion's own web site had 10 million monthly unique visitors, according to internal data. Fusion is set to host a Democratic presidential forum with Hillary Clinton, Bernie Sanders and Martin O'Malley next month.